Frederick Hamiton-Temple-Blackwood, 1st Marquess of Dufferin and Ava, enjoyed a glittering career which few could equal. As Viceroy of India and Governor-General of Canada, he held the two most exalted positions available under the Crown, but prior to this his achievements as a British ambassador included restoring order to sectarian conflict in Syria, helping to keep Canada British, paving the way for the annexation of Egypt and preventing war from breaking out on India’s North-West Frontier. 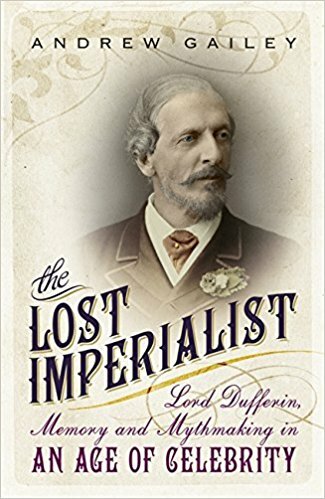 Dufferin was much more than a diplomat and politician, however: he was a leading Irish landlord, an adventurer and a travel writer whose Letters from High Latitudes proved a publishing sensation. He also became a celebrity of the time, and in his attempts to sustain his reputation he became trapped by his own inventions, thereafter living his public life in fear of exposure. Ingenuity, ability and charm usually saved the day, yet in the end catastrophe struck in the form of the greatest City scandal for forty years and the death of his heir in the Boer War. With unique access to the family archive at Clandeboye, Andrew Gailey presents a full biography of the figure once referred to as the ‘most popular man in Europe’.